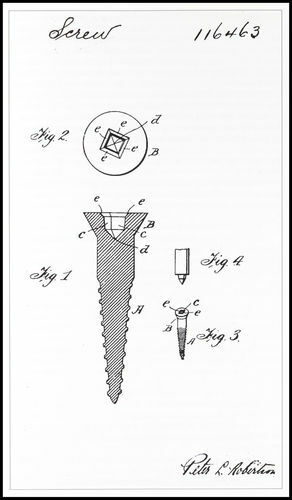 Cognoscenti in the woodworking world know that the finest screw available till now is the Robertson square drive. - with its combination Philips/Robertson drive, a cut point self drilling feature and with countersinking nibs under the flat head. A modern deep root design. New to our shop is the Nuvo screw, a much improved variation on the Canadian designed Robertson. It has three surprising features that add up to make it the new king. 1. A very effective pre-drill. While it is available in the T17 cut point tip, we like the unusual spiral ZYX style shown as it causes less splitting and takes less power to drive. 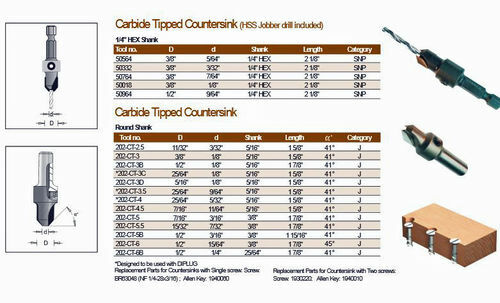 2 Spiral countersinking nibs. These produce much less tear out than the conventional style while again requiring less power to seat. 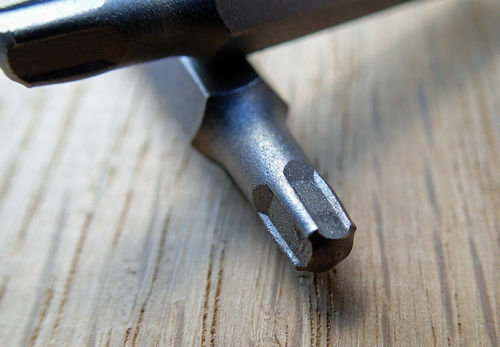 Nothing beats a carbide tipped dedicated countersink for sure but for many construction work projects who has the time or the need? 3. A marvelous new head design. What they have done is add four lobes at the corners of the square socket which allow the driving force to be in line with the steel at eight points. The upshot of this is that the screw is unshakeable from the driver and simply will not cam out. Tests that I have performed show me that the amount of pressure needed downwards, the amount needed to keep the driver engaged with the screw – is almost negligible. In addition, they are nickel plated with very smooth surfaces throughout. Standard Robertson drivers will power these screws and dedicated Nuvo drivers will power Quadrex type heads, but not Robertson. The bits themselves are modestly priced ($1-$2) and appear to be reasonably well made. Hand drivers do not seem to be available as yet. Pricing is competitive in bulk and there is easy supply in Canada but only a sole US distributor so far. So mon confreres, if you drive screws for a living this may be of great interest to you. You might think, “Ahh, a new screw, so what”. Try just one and you will be sold. A European design, made in Asia, distributed from Quebec. Embedded videos from YouTube are not possible at the moment so here are the links instead. Really worth a look. A Nuvo corporate video demonstrating the product. While the presenter might better have been a burly guy in a checked shirt, well…..
Not much of a believer in advertising I set up my own half baked test to confirm their edge splitting and pre-drilling claims. This is a 1 3/4” #8 going into 1 1/4” fine grained, really dense white oak. Notice the 14.4v drill laboring to drive the Quadrex in the second half of the clip and not being quite able to make it flush. Here is the comparison of the countersinking abilities after the test. A Canadian distributor, see above for others. Gene, do you think the new bit is worthwhile? It seems like it would register more tightly, more so than the square drive. I love the square drive for being able to hold long screws without dropping while your one handed. Most manufacturers don’t make longer than 2” or at least I haven’t seen them in there offerings. Why? Ever hang in a condo with the walls all funky?? 2 1/4 was a must…. Thanks Gene , I’ll look into these. I do use fastenings occasionally. 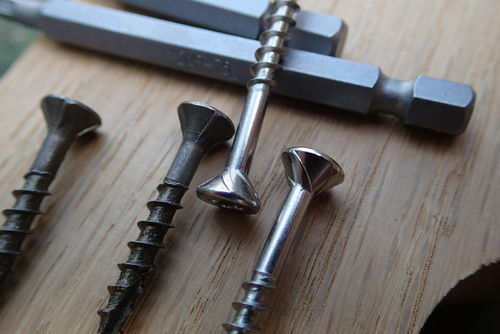 Thanks Gene: I love good screws, no pun intended. A great and helpful review Gene. I hope they find their way to Norway. What a well documented, thoughtful, well written, and insightful review. And your photos are stunning. 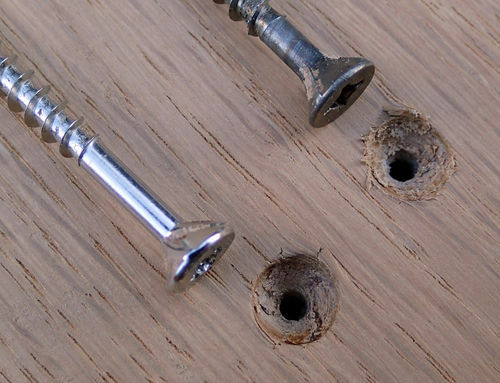 Those screws seem really nice, I will keep this in my bag of tricks. Oooh. I learned something. Thank you! Hopefully “McFeelys” will start selling them. Great review; I love how well thought and written it is. 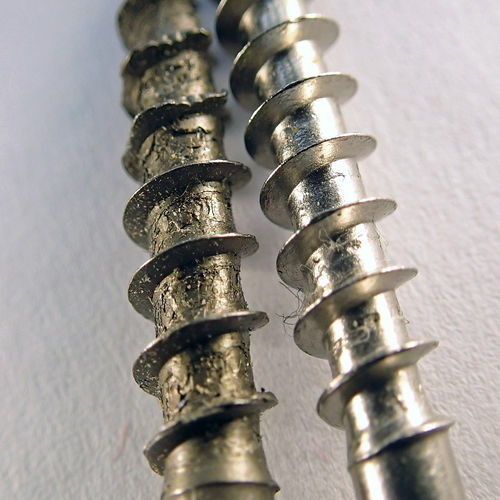 But a question: Do these screws offer any advantages in a controlled environment (workshop) where predrilling is typically done? I switched from phillips screws a long time ago to square drive and haven’t needed anything more, so I never jumped on the spax or grk bandwagon. Thanks for the interest, the compliments and the well expected puns. For even more knee slappers, go to http://lumberjocks.com/topics/43769 or http://lumberjocks.com/topics/42397. chopnhack - do you think the new bit is worthwhile? 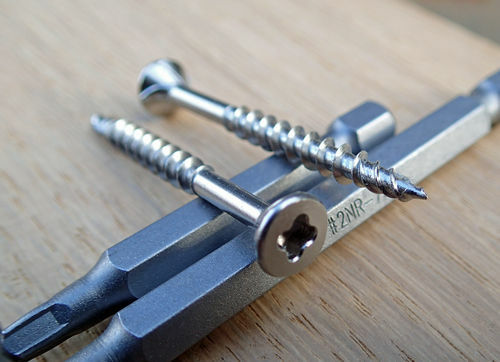 Yes, if you are using Nuvo or Quadrex screws. 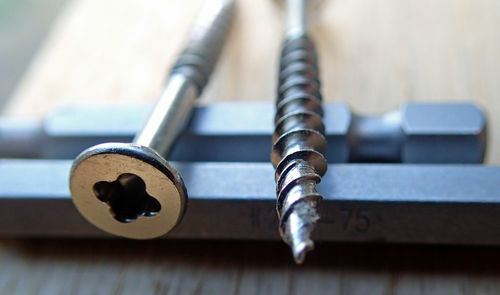 Just like a properly made Robertson bit they have a slight taper and if the screw itself is well made (not always the case), you can drop the drill to the floor from bench height and the screw will still be on the bit. 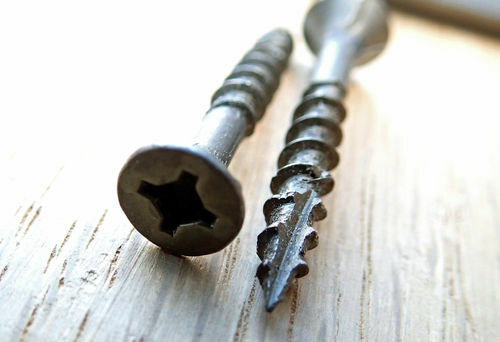 To your second point, we have Quadrex screws on hand out to 3” and it will probably be true for Nuvo types eventually. 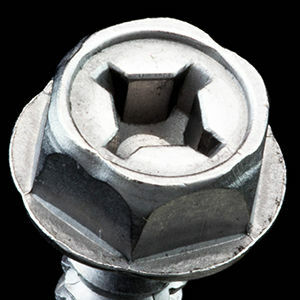 NiteWalker – Do these screws offer any advantages in a controlled environment ? Good point and the short answer is maybe. They definitely have an advantage in bit holding power, utter lack of cam out and they also do a better, cleaner job in countersinking. We pre-drill everything in our shop too but with Nuvo we don’t have to drill as deep. 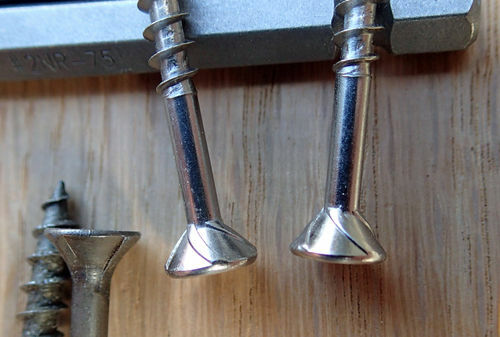 This is helpful because tiny drills always clog up and require multiple re-entries after shaking off the muff. Now we can just go shallow, make the countersink with our Dimar carbide tipped units and let the screw take care of the rest. You can’t do better than these. Super long lasting, razor sharp countersink edges in any material. Thanks for the review, wish they had a dealer in Western Canada… look interesting! I think I will order some.